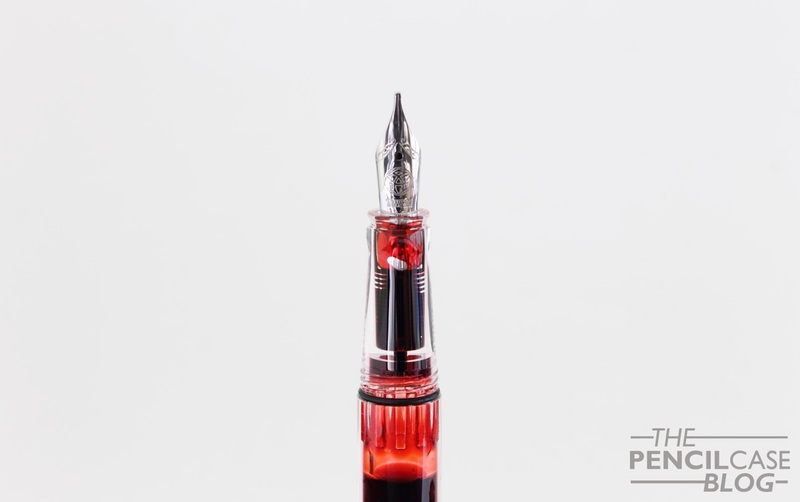 The TWSBI Eco is probably one of the hottest topics as of lately. It's new, it's good, and most importantly... it's very affordable! 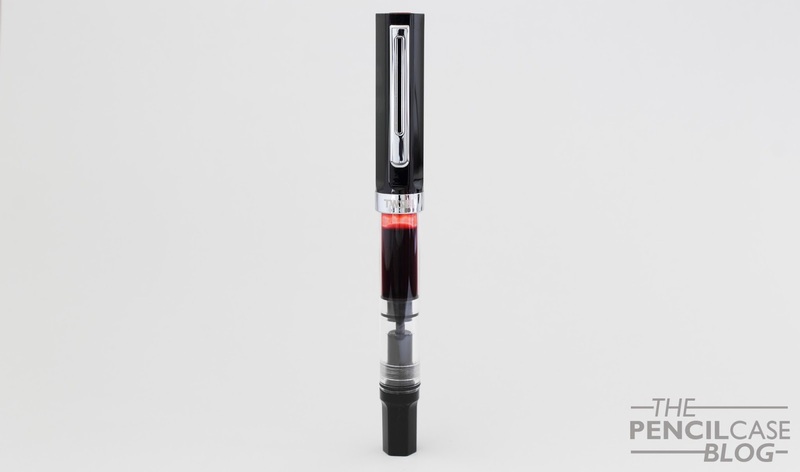 TWSBI has always conquered the market with cheap alternatives for high-end piston fillers and demonstrators. 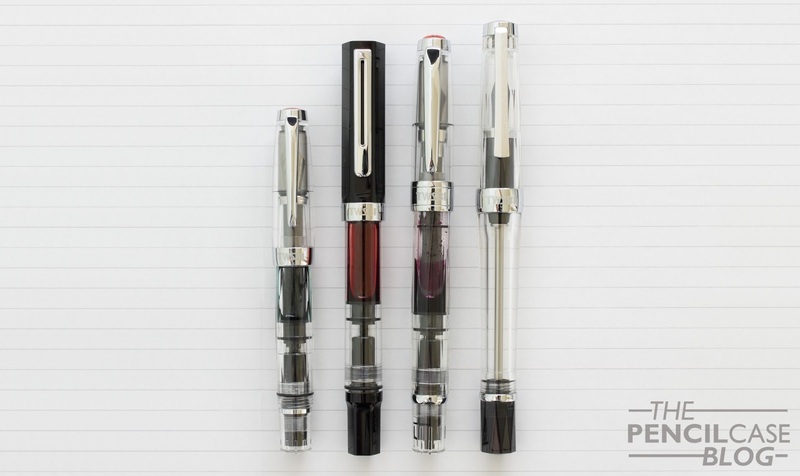 They rule the section of the market between 'entry-level' and 'next step' fountain pens. 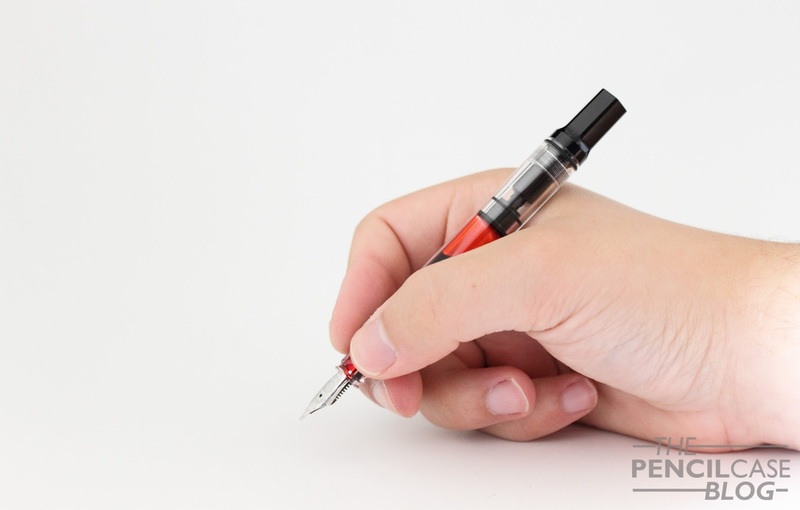 They have done so from the beginning, it's what made their pens so popular, and they will probably continue following the same strategy. That's not a bad thing at all, because, let's face it: TWSBI is really good at making very affordable fountain pens! 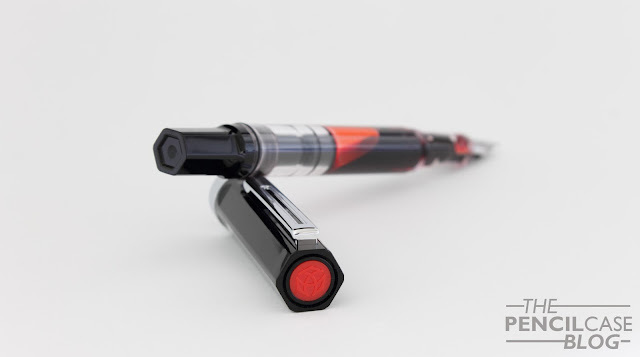 But with the TWSBI Eco, they are entering into a new category. They cut costs on pretty much everything, and came up with what probably is the very first entry level piston filler! Now I already mentioned it, to cut costs was the only way to bring a piston filler to the '35 and under' price range. 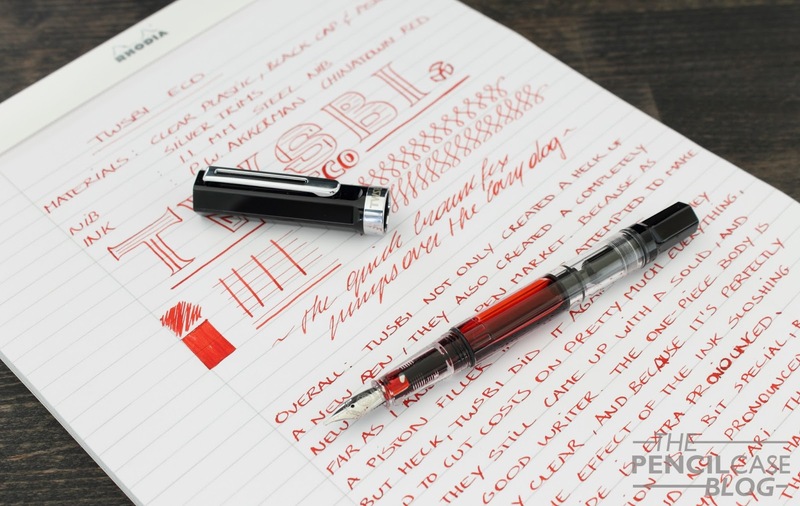 To cut costs on a pen that's already at a very competitive price point is fairly challenging, but the design team over at TWSBI came up with some very clever tricks to get to their goal. For starters: most metal hardware has gone. The clip and center band are the only two remaining metal parts, all other decorative rings and parts are left out. They incorporated the exact same piston mechanism as the one found in the Diamond pens. And last but not least, the barrel and section are now a single injection-molded piece. Not only does this get rid of a couple production steps, it also makes for a more solid construction. Surprisingly, the Eco still comes with a bottle of silicon grease and a (now plastic) wrench, all neatly packed in a practical hard plastic case. I would have expected less elaborate packaging on an economical pen, but it's nice to see that TWSBI didn't cut corners in this department! Build quality didn't suffer too much from the small budget. As I said, they got rid of a couple metal components, but it's still a pretty solid construction (as far as a plastic pen can be considered 'solid'). The only flaw I could find are a couple of visible seams on the barrel, section and cap from the injection molding process. The Eco has a simple design, which suits the 'affordable' philosophy. The barrel is no longer faceted, and the cap and piston knop are straighter, with a hexagonal profile. I'm quite a fan of the design honestly. I really appreciate the one piece clear construction of the barrel and section: it allows me to see the ink creep in between the feed and slosh around in the barrel. The hexagonal cap and blind cap add a rather unique appearance to the pen. Some absolutely hate the way it looks, but I quite like the combination of hexagonal parts with the clear, round barrel. It's definitely a matter of personal taste (but isn't that always the case?). The section is one of the aspects that might scare people at first glance. 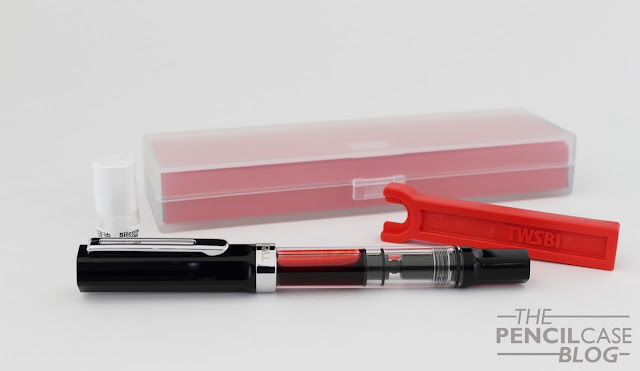 From the pictures I found online, I expected a section similar to the one found on a Lamy Safari, but in reality the pre-formed shape isn't nearly as pronounced. I think it's best described as a hybrid between a pre-formed grip and a normal one. 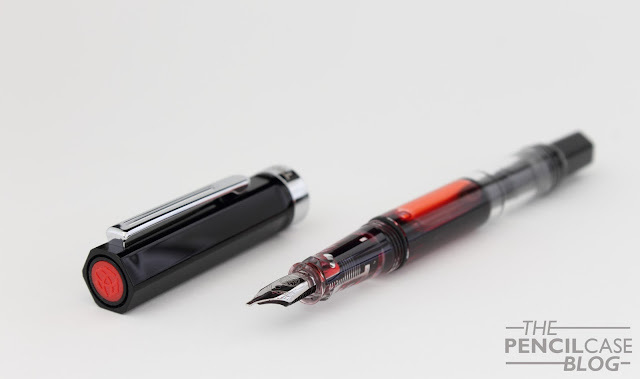 For the most part, it's just a normal, cylindrical section with a slight taper towards the front, but towards the nib it flares back out in a triangular shape. It's a rather peculiar design (quite difficult to explain), but it's a pretty good one that has proven to be quite comfortable in use. The Eco definitely isn't a small pen, but it might appear shorter because of it's above average girth. When closed, it's a reasonable 13.9 cm / 5.5 Inches, and it retains almost all of that length when you remove the cap. It measures in at a respectable 13.2 cm (5.2 Inches) long uncapped, which is more than long enough to be used comfortably. 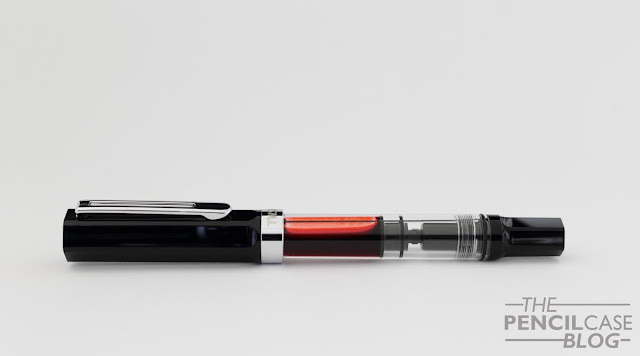 For the people that prefer an even longer pen, it's their lucky day! 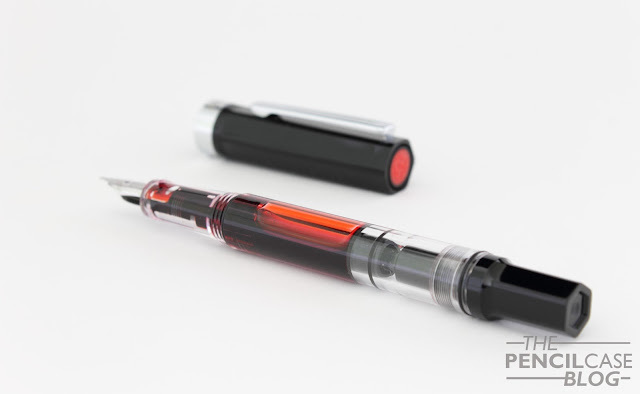 Because unlike some of TWSBI's previous models, the Eco does post. Even better, it does so really securely thanks to the rubber o-ring behind the piston knob. The cap on itself is fairly light, so it doesn't throw off the balance. It's a fairly light pen overall, at only 21 grams total, perfect for longer writing sessions without getting cramps or fatigue. 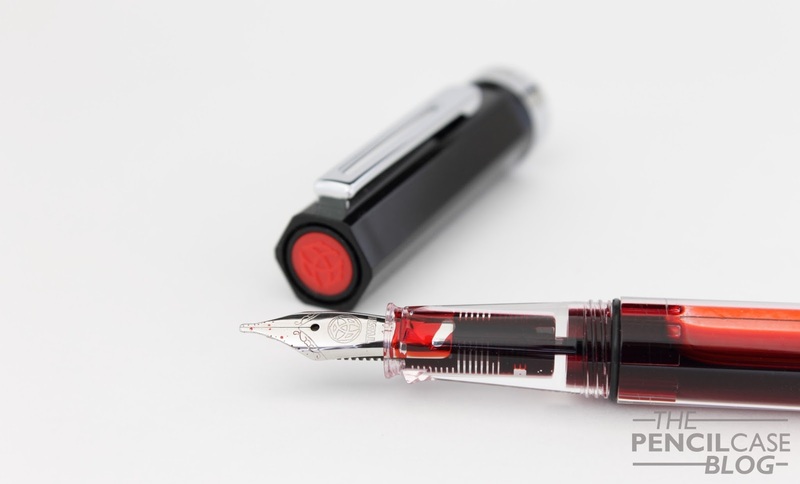 The usual three-piece nib unit is no longer present on the Eco. Instead, they opted for a simple friction-fit nib and feed setup. The nib is the same size as the one found on the Diamond Mini, however the feed seems to be a slightly different design, unique to the Eco. I think a larger nib, like the one on the 580, would have suited the overall size of the Eco a bit better. But I assume they opted for the smaller nib to keep costs low. Performance-wise, the smaller nib doesn't change a thing. The nib -in my case a 1.1mm stub- performs on par with any other TWSBI I own. The different nib setup doesn't make a difference in flow or consistency. The stub has some feedback to it, but since it's an untipped nib, I assume it will smooth out automatically over time. 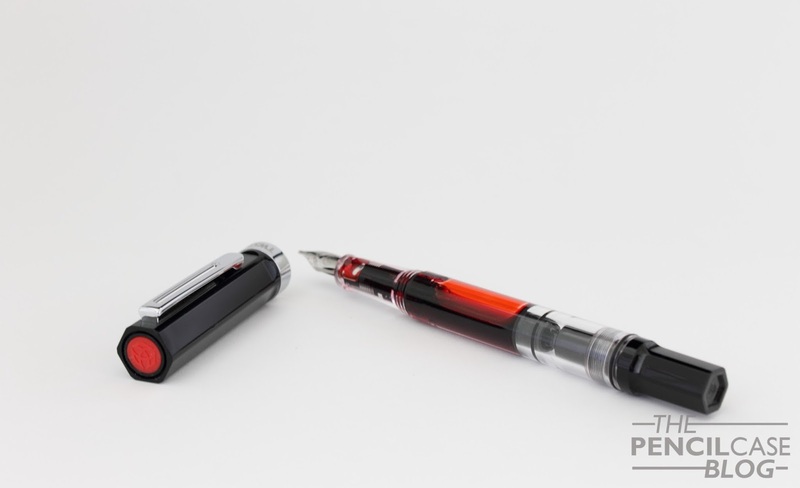 TWSBI pens are consistent, everyday users, so it's nice to see an even more affordable option available for those that want a reliable writer but don't feel like spending more than 50 dollars on a pen. TWSBI managed to design a pretty great fountain pen in a price class even lower than what we are used to from the Taiwanese manufacturer. The Eco provides a lot of function, for little money, which is a formula that -in this case- definitely works! At 35 EUR / 29 USD, it's almost impossible not to recommend getting one (or a couple) of these! The photos are all great but could you take a photo with the cap posted please? Haha, go for it! #enabler No really, it's a pretty great pen for this price.